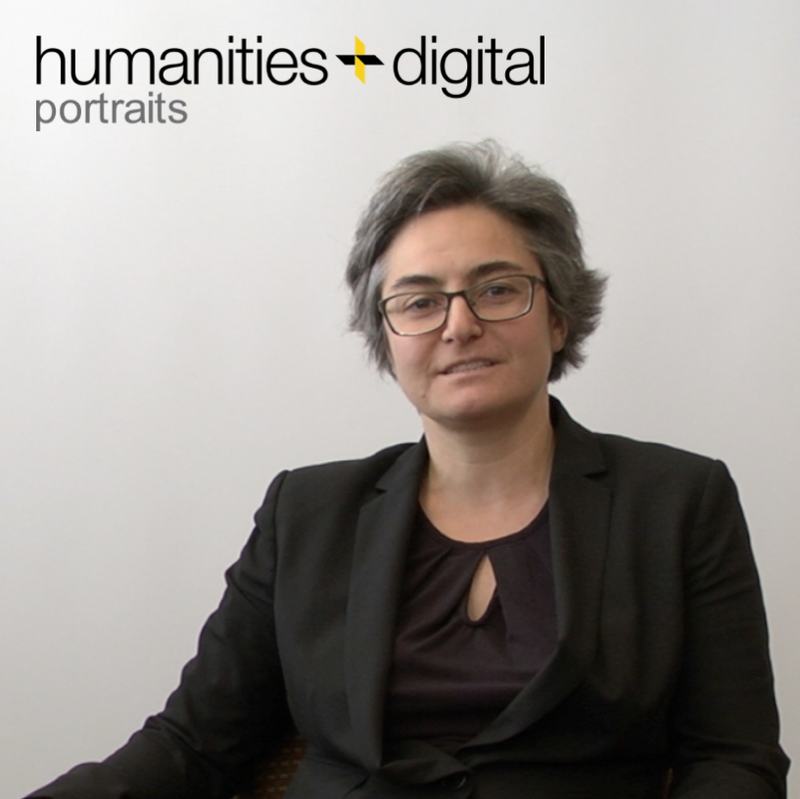 Welcome to the second edition of h+d Portraits, an ongoing series of interviews with scholars and practitioners of the Digital Humanities. In this series, we aim to explore what the label Digital Humanities means in practice – by assembling a diverse set of perspectives from those engaged in this still-emerging field. Our second conversation is with Jeremy Grubman. Jeremy has been at MIT since 2009, first as manager of an MIT Libraries collection, and since 2012 has been an archivist in the Arts, Culture and Technology (ACT) program. As our discussion demonstrates, ACT sits at the intersection of the artistic and the digital, and the program’s holdings contain a remarkable range of artefacts covering MIT’s decades of experimentation with emerging technologies. As such, Jeremy is expertly placed to comment on the intersection of subject matter experts, information scientists and “technologists”, whose collaboration, as Jeremy sees it, gives rise to Digital Humanities. So our first question is always the same: What brings you to your existing institution, and in this case to your department? Sure. So I received a Masters in Library and Information Science from Simmons College in 2008, and almost immediately after I began working in spring 2009 for the MIT Libraries, so that’s what brought me to MIT, and in the summer of 2012 I was asked to come and bring the kinds of work I was doing for the Libraries to the program in Art, Culture and Technology (ACT), which owned a significant amount of archival materials, covering the history of MIT’s experiments with emerging technologies in art over the past 60 years or so. Maybe for people who don’t know quite so much about ACT, what makes ACT quite unique inside MIT? Well ACT is born from two different organizations, the Center for Advanced Visual Studies which brought artists from all around the world to collaborate with MIT’s scientists and engineers as research fellows, beginning in the mid-1960s, and the Visual Arts program which was an academic arts program that began in the late 1980s. And the two merged to form ACT which is where we are today, which is both a research center and an academic graduate program in the arts and we also provide classes for undergraduates. Can you tell us about how the interplay of different stakeholder groups works in practice? I think that DH really emerges from the needs of the subject matter experts in answering complex research questions. To get at those materials they encounter the information science professionals, the librarians, archivists, museum professionals who are the gatekeepers and enablers of access, and then you have the people I refer to as technologists for lack of a better word, who build the tools and applications that promote that level of access. And DH as I see it is the convergence of those three areas of practice. What makes these collections special – maybe not just in terms of their artistic or cultural qualities, but in that process of making them digital? “Special collection” is a very specific term in the library world, it’s somewhat different from an archive, but what makes the collections themselves so interesting and unique is, on one hand, the breadth of material, the difference of material types. Currently I’m working most prominently with the Center for Advanced Visual Studies special collection, and it’s a challenge to do research in that collection, because if you’re looking at a particular project that was done here at MIT you need to be able to access a poster, a film, a catalog, a publication, the records of meetings and memos that reveal a process of collaboration. … It can be really challenging, in just a physical space, to go around a room and pull all of those materials from their different locations. At the same time, in a digital space, it can be really difficult to ensure that a user can discover all of the materials that they need to discover on a given topic. So I think that the breadth of material types in a given collection is one thing that makes it challenging to deal with, and then also … there are some really complex research questions that people tend to ask about these projects. “Who were all the people who came to work on holography and MIT, and where did they all come from? And then where did they produce their work?” And so in order to be able to answer that question it takes a lot of digging, and not in the sort of approach that is typically used when you’re looking at just raw data. What makes ACT a particularly interesting place to work in this space? Well it’s very interesting to not work under the umbrella of the MIT Libraries, or the MIT Museum, which is typically where these materials would sit at an institution like this. It just so happens that the materials were collected and retained by ACT, and on one hand this allows me to move very freely without the weight of a larger institution behind me, but on the other hand it means that I have to do a lot of things on my own. ACT’s a very interesting place, because even though it’s a relatively small program we have a really broad range of different kinds of people coming to experiment, produce work, conduct research, and it’s always changing every semester too, because we have all kinds of people coming in, whether it’s our graduate students or visiting faculty. How do you see archives evolving in the longer term? I think there is a clear trend toward reaching wider audiences, and the way to do that is to develop repositories and methods of retaining information and providing access to them that are much more global, in the sense that when you build a digital collection you don’t want it to just necessarily be accessible in that one mode, in that one repository; we need to stop building these sorts of silos of information and build repositions that can really rapidly import and export collection information. And that’s an incredible challenge because we all have different kinds of information and we all have different kinds of metadata, and there’s different schema that we use to describe it. So the challenge there is to be able to build repositories that can incorporate collections from other institutions, so that you might be able to access related materials in one spot, even though the materials themselves might physically be held by very different institutions across the world. That’s one thing that needs to happen. And another thing is greater collaboration between libraries, archives, museums, galleries – any of these types of organizations that collect materials. When we build these types of global repositories we need people to contribute to them. And I see very often these types of DH projects that are typically spurred by a particular need, for a particular collection or a particular topic, and there’s often collaboration at the project level, where you might get input from your expert users, you might have the technologists working very closely with the information professionals, and the program moves forward. We need to see collaboration at a much higher level, at an institutional level and at an extra-institutional level, as we begin to answer questions like, how are we all going to describe our data in a way that will be intuitive for users to access and discover it? Is that kind of collaboration a more formal, institutional framework or is it just doing different things with the same people in the same ways? I think it needs to be a mix of both. I think we need a sort of administrative buy-in, that that collaboration matters and at the same time we need some sort of more serendipitous conversations happening, between these different groups. And very often we like to sort of close our doors and work on our own, we can all be guilty of that, but the more conversations we have about enabling access to wider audiences, and how we get at more intuitive ways of helping people discover things, the better the products are going to be. Do you have any ideas about how you would enable those conversations? I think that it falls at least on the institutions themselves to have the conversations between the sometimes disparate departments that exist, whether it’s the MIT Libraries talking to the Museum, talking to ACT, talking to HyperStudio, or the IT department in a museum or a school getting in touch with the various academic departments to see what kinds of tools the need to manage their information to promote access to research data. I think it can start at that institutional level again with a larger administrative buy-in, and also I’ve seen the most success when people become closer colleagues and collaborate with each other, just to keep each other updated on the different things we’re working on. We often discover that we’re reinventing the wheel of someone else’s project. And when we can sit and put our heads together and share that information of the process then we all tend to learn from it, in ways that make our projects much more expansive. 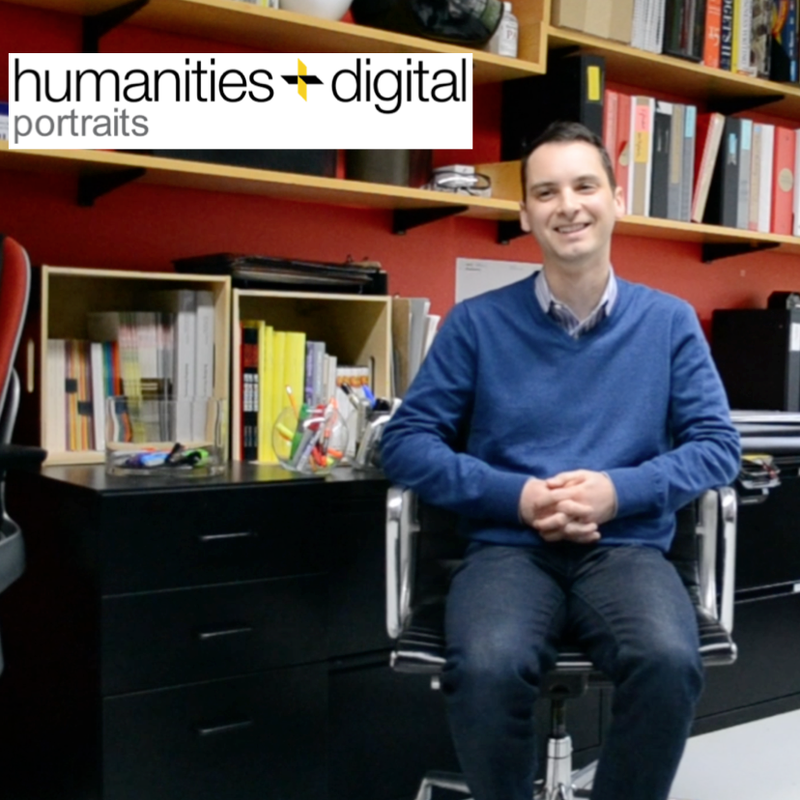 Welcome to h+d Portraits, a new series of interviews with scholars and practitioners of the Digital Humanities. In this series, we aim to explore what the label Digital Humanities means in practice – by assembling a diverse set of perspectives from those engaged in this still-emerging field. We kick off the series with our conversation with Ece Turnator. 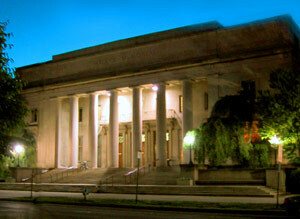 Ece recently joined MIT Libraries as a Humanities and Digital Scholarship Librarian. She completed her PhD in Byzantine History at Harvard, before joining the University of Texas Libraries to conduct postdoctoral work in medieval data curation. In our interview, Ece offered her perspective on the intersection between traditional historical research and the use of new methods, resources, and ways of thinking. Ece, tell us about your academic background prior to joining MIT. How did you become involved in Digital Humanities? For my PhD, I worked on the economy of the Byzantine empire during and after the 13th century – specifically before and after the Latin conquest of Constantinople. I looked at how it impacted the economy, in what ways, and what the state of the economy was before they arrived in that area in 1204 AD. I used textual data, but I also used textile analyses, evidence from numismatics, and ceramics, altogether. So those were my three main sources of data, and I put them all into Excel, and tried to create maps out of them to understand what exactly was going on with the data that I had collected. The more I looked at them, the more it helped me understand the context, so that was my introduction to doing humanities with the help of digital tools. I then worked at UT with a professor in the English department, and at UT Libraries my office was in the IT Unit of the Libraries. Essentially our goal was to design a medieval project that would be updated and sustained with the help of the Libraries. I worked on that for two years – it was a great learning experience. I think the libraries learnt a lot from the experience of working with a humanities project, and trying to understand what goes in and out of creating a DH project. I think it also benefited the faculty member, and clearly it did benefit me – now I’m here at MIT Libraries. What does your work at MIT Libraries involve, and what has been the reaction to your efforts in the MIT community more broadly? Here at MIT, I’m working with Doug O’Reagan, who’s a SHASS postdoctoral fellow doing very similar things here to what I did at UT – so we’re kind of joined forces in that regard, working towards understanding what DH means at MIT. It’s a different kind of animal here, from what I understand so far. So as part of Doug and the Libraries’ efforts to understand what’s going on at MIT with respect to Digital Humanities, we meet with faculty in different departments, as well as graduate students. So when Doug and I go round and meet faculty we ask them, “what does DH mean to you?”, “do you think there should be a center for DH?, and “how should the training be done in your specific departments?”. We get different kinds of answers and focuses. Sometimes the emphasis, interestingly, is on training in social statistics and computation, and how to integrate these into humanities. But when you talk to the folks who are trained inside of the humanities department they ask different kinds of questions, and often emphasize the need for more ethics, and more guidance on how to create resources which acknowledge the social and historical bearings of what it means to create a digital tool, resource, or machine. That kind of tension here exists that I had not noticed at other places that I have been. This could be creative, or it could lead to other directions, and I can’t tell at this point in time. But it is interesting – and I think it is MIT-specific, that tension. What, in your view, are the key questions around the push towards open access in the humanities? We have to appreciate that it’s a big cultural change, for especially humanities departments but also other departments as well: what does it mean to be open access, is it actually doable, and how to do we get to that ideal? Those are all challenges that are posed by the systems that we created in the post-second world war world, and now we’re trying to rewind the calendar back a little bit, to get to the time before the locking down of resources. So now the question is – how do we move back to earlier ideals, and create a knowledge commons such that information is not locked down, but is available for whoever wants to actually use it. How do you see libraries changing in the future? I think a lot of the future development is going to incorporate formalized training of students. So far what has happened is students have to gather computational skills on their own, with not a lot of help that’s recognized – transcribable recognition, that we prioritize. We prioritize other aspects of their training, but we don’t prioritize training around how we create data that’s shareable, how we create data that’s usable by others, and how we think about who is going to access that data once we create it. Specifically thinking about humanities fields, this has not so far been explicitly taught in our fields across the board. But maybe the trend is going to be towards trying to incorporate that big cultural change into humanities, and work toward integrating those values and skills – not just skills on their own, but values and skills – into the training of humanities students at large. For the conference registration, please click here. Registration 1:30 – 3:00 p.m. Welcome & Introductions 3:00 – 3:15 p.m.
Keynote 3:15 – 3:45 p.m., with discussion until 4:30 p.m.
Coffee Break 4:30 – 5:00 p.m.
Short Presentations (6/4s) 5:00 – 6:00 p.m. Reception 6:15 – 8:00 p.m.
Coffee Break 4:15 – 4: 45 p.m.
Conference Dinner 6:45 – 10:00p.m. Workshops, Demos, and Posters 9:00 – 11:00 a.m.
What does research sound like? Short Presentations (6/4s) 11:00 – 12:00 p.m. Lunch Break 12:00 – 1:00 p.m. Closing Panel 1:00 – 2:00 p.m. Attending the humanities + digital “Visual Interpretations” Conference is free, however registration is required. All sessions of the humanities +digital Conference will be held on the campus of Massachusetts Institute of Technology, Cambridge. Presentations and 6/4s will take place in Bartos Theater, lower level of the Jerome Wiesner Building – Media Lab (building E15), 20 Ames Street; Mini-Workshops and Demo-Sessions in other rooms of the Wiesner Building. The Opening Reception will be held in Morss Hall, the main auditorium in Walker Memorial (building 50), 142 Memorial Drive. 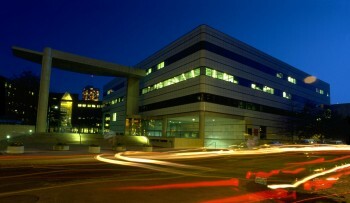 The Conference Dinner will be held in the Silverman Skyline Room of the new Media Lab Complex (building E14), 75 Amherst Street. We have reserved a block of rooms at a special conference rate at the Cambridge Marriott, which is adjacent to the MIT campus. Please click to make your reservation. You must make your hotel reservation by Friday, April 30, 2010 in order to get the discounted conference rate ($170 per night plus tax). Rooms can be singles or doubles and sharing a room with a colleague helps reduce the cost of attending the conference. 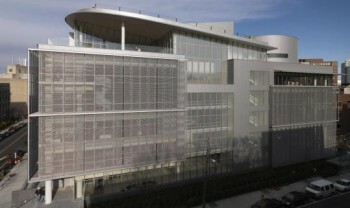 General information about the MIT campus and environment can be found here.